Disney park lines and veterans awaiting medical care are not two common points of comparison. However, Veterans Affairs Secretary Robert McDonald placed the two side-by-side, earning the ire of several Republicans, from House Speaker Paul Ryan to Donald Trump. McDonald was talking to reporters on Monday, when he was prompted to answer unpleasant questions about the lack of transparency surrounding the issue of long wait times that veterans are forced to endure. “What really counts is how does the veteran feel about their encounter with the VA. When you go to Disney, do they measure the number of hours you wait in line? Or what’s important? What’s important is what’s your satisfaction with the experience,” he said. McDonald tried to downplay the reports exposing the long waits for veterans to receive care, saying that the average wait time is just a few days. "We should be measuring the veterans' satisfaction,” he told the media at a breakfast hosted by the Christian Science Monitor. As of May 1, patients waited for primary care for an average of seven days. However, in some states, such as Colorado or Georgia, that time more than doubled to around 18 and 19 days respectively. 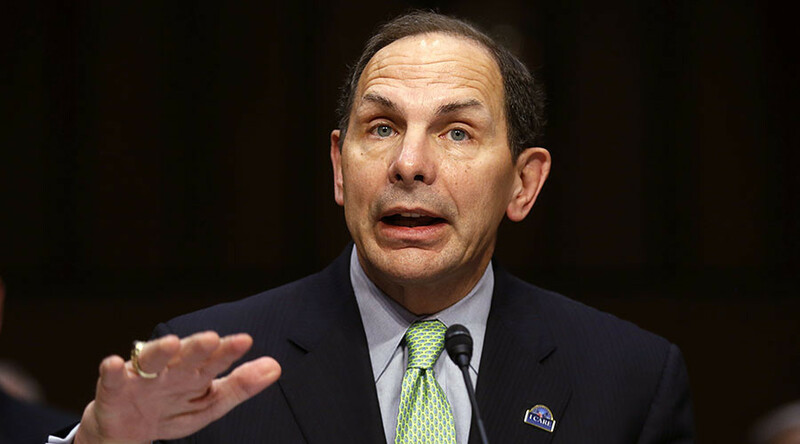 The VA secretary’s comment immediately invited a wave of criticism. House Speaker Paul Ryan’s office scolded McDonald in a spree of tweets. “It’s not #Disneyland—it’s the #VA. This is about taking care of our #veterans,” one of them read. Donald Trump, the GOP's presumptive presidential nominee, also used the opportunity to poke fun at the Obama administration and his Democratic rival, Hillary Clinton, to try to score even more support from voters. “Obama’s VA Secretary just said we shouldn't measure wait times. Hillary says VA problems are not ‘widespread.’ I will take care of our vets!” he tweeted Monday. “This system is so corrupt now – corrupt, not in the sense of bribery, but corrupt in the sense of being dishonest about the facts,” he said. People on Twitter have also lashed out at McDonald, saying that the VA secretary should resign.